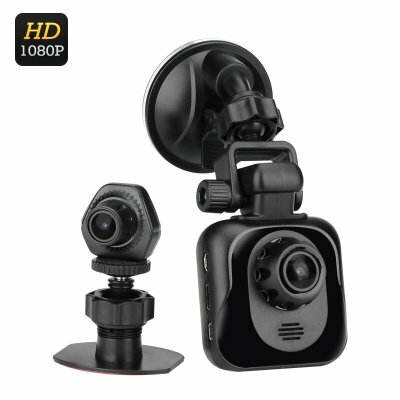 Successfully Added D35 Full HD Dual Car DVR - 1080P, Wide Angle Lenses, 2.4 inch TFT Display, GPS, G-Sensor, Motion Detection, Auto Recording to your Shopping Cart. The D35 Full HD Dual Car DVR comes with a 12 months warranty, brought to you by the leader in electronic devices as well as wholesale dual car DVRs..
Looks very good, it's cheap. Just what I want. This camera will increase security. What impresses me most about the D35 is the fact that that it does actually record from both cameras at once, not just one or the other, giving you the complete picture which can make a difference in nose to tail accidents for instance. I would very much like to win this camera to protect the investment that I have made in my car. I like this Car DVR because it is not expensive and it have two DR. Make sure I will not miss any part around my car.That is great! Hope I can win! Exactly what I needed to record traffic situations in the city. The loop mode is perfect as I don't need to worry about running out of storage. Theses should be installed in every car!